With 18 years in business, American Financial Solutions is NFCC accredited and offers free counseling with certified counselors. Since 1999, American Financial Solutions has helped over 250,000 people pay off over $42 billion in debt. The company’s debt management and consolidation plans are accredited, as well as its debt counselors. Additionally, American Financial is accredited by the National Foundation for Credit Counseling. As previously mentioned, American Financial Solutions has helped thousands of clients pay off billions of dollars in debt over the course of the past 18 years. To back up their industry experience, American Financial is accredited by the NFCC, ensuring that the company’s credit counselors implement best industry practices. The company offers many different services which include: credit counseling, debt management, housing counseling, and pre and post-bankruptcy counseling. Consumers can also take advantage of a free credit counseling session which typically lasts an hour. After the initial assessment, a certified credit counselor will provide options to help consumers realize their financial goals. Within the list of options, the company offers a debt management plan which will consolidate monthly payments into one affordable monthly installment. Because American Financial is not a credit consolidation company, clients are not required to take out a debt payoff loan. Instead, the company works directly with each client to uncover the best solution to resolve creditor debt. Tools have been designed to help consumers under the unbearable weight of unsecured debt such as credit cards, department store cards, medical bills, and other unsecured types of debt. Debt consolidation companies typically have existing relationships with most major credit card companies and other major lending institutions. When you sign up with one of these companies, you should be able to lower the annual percentage rate on what you owe. American Financial Solutions promises to get you a better rate but does not say how much better. We would prefer that American Financial be a little more transparent about what rates it can secure for its customers. At this time American Financial Solutions does not offer pricing information on their website at this time. This can make it difficult for potential customers to make a decision on which company to work with. It also makes it challenging for us to rank and compare the company to others in the industry. American Financial Solutions is a little small compared to other top companies. AFS employs less than 50 people compared to the 200-500 people employed by Consolidated Credit. Having more employees allows a company like Consolidated Credit to take on more projects and clients. American Financial Services is on great terms with its customers. The company also offers a number of great services at relatively low cost to help consumers manage their debt. One of the big things we didn’t like is that the company is not transparent about what interest rates it can secure for customers or exactly how low the monthly fees can be. With that being said, we feel that the free consultation is worth your time if you want to get some information about what credit counseling can do for you. American Financial Solutions provides actual debt consolidation through provides credit counseling and debt management plans for their customers. American Financial Solutions debt management plans allow customers to consolidate their bills into one monthly payment, while also lowering the overall interest rate on that debt without having to apply for a loan. For one customer, American Financial Solutions was able to help a customer pay off $123,000 of unsecured consumer debt in four years. American Financial Solutions also offers counseling services for credit, housing, and bankruptcy. The company offers free financial education classes, which includes eight chapters of educational material on borrowing, investing, and budgeting. The monthly prices are undisclosed at this time. The up-front fees are undisclosed at this time. Yes. The company does have a mobile friendly website that automatically adjusts to a smartphone or tablet screen. AFS’s mobile website is easy to navigate and contains all of the same information you’ll need. Getting information from AFS is also simple using the mobile site since the “live chat” and “ask a counselor features” are still useable. They work with unsecured debts. A “get help now” button on their website leads to a form for a free consultation, which can also be obtained through a phone call. The online form asks for basic personal information, like your name, physical address, e-mail address, and phone number. There is a comments section in the form where you can put details about how you ended up in your current financial situation, what your financial goals are, and whether or not you are behind in your debts. Reps also ask for your bank account information, including who the primary owner of the account is and the account’s balance. Information about your monthly payment to your creditors is also required. After this information is filled out and submitted, you will get a call from one of AFS’s counselors. AFS is a non-profit organization, and because of this the programs they offer to consumers are not bound by contracts or written agreements. This means you can cancel your plan with AFS at any time. 18 years. AFS has been in business since 1999. They offer debt management, credit counseling and debt consolidation services. Many of their counseling services about debt, foreclosure, buying a home, and bankruptcy are free. Once you have enrolled in AFS’s debt management program, the counselor you work with helps you come up with a month-to-month repayment plan. AFS says that under their plans, you should be completely free of debt within five years or less. One of the main focuses is on education. They offer free information through a blog, a resource center, and a budgeting template, and even online classes. Once you register for a class, you will take quizzes and earn a certificate when you finish. The classes are all short (30 minutes to an hour), and they cover basic topics like investing, borrowing, budgeting, understanding credit, working with banks, and avoiding identity theft. There are a couple special classes for young adults and families who want to help their kids understand budgeting. Aside from the free classes, AFS also offers workshops in western Washington State where people can get together in person to discuss the same topics covered in the online classes. Another educational resource they offer is found under the “Know Your Rights” section of the website. This section briefly details major laws and policies regarding credit and lending. It also talks specifically about how these laws and policies affect you, and what you should do if you think you have been wronged under one or more of these laws. Lastly under the education section, AFS has its own little bookstore where you can find reads on retirement, personal finance, debt management, and other topics. The bookstore also offers books for kids and young adults to help build a good financial foundation. You have the option to stop participating in the programs without fear of fines or fees, but they do not offer a money-back guarantee. This means all the payments you make, including the one-time enrollment fee and the monthly service fees, are non-refundable. As mentioned previously, they have many different venues for providing free information about money management to consumers. Their blog, online classes, local workshops, bookstore, and personal counseling services are all geared toward making consumers more aware of their financial situation. Detailed, easy-to-understand information about all of AFS’s educational programs can be found on their website. Two URLS—myfinancialgoals.org and americanfinancialsolutions.com—lead to AFS’s website. Once you get to the site, there are five different departments—credit counseling, housing counseling, bankruptcy counseling, financial education, and partnership opportunities. Each of these departments has its own phone number listed on the website. There are two separate physical addresses, both within Washington State, for sending in payments or other mail. Lastly, live chat is another feature offered by AFS. The live chat button lets you know whether or not a counselor is currently available to respond. The minimum debt they accept is $100 per account, but they also pointed out that in some cases, this figure depends on the creditor. A representative can help you figure out whether or not you qualify for their programs, based on the amount of debt you are working with. An online dashboard is available for those who are enrolled in an American Financial Solutions’ debt management plan. 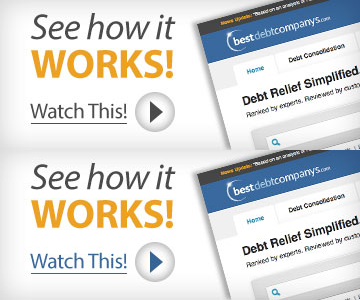 Customers are able to login through the website to see the progress of their debt relief. AFS also sends out a monthly progress report through the mail or email. American Financial Solutions’ counselors are certified by the Association for Financial Counseling and Planning Education. Counselors must complete additional training and education to maintain their certification each year. AFS is not ISO certified, however, it is certified by the National Foundation of Credit Counseling (NFCC). I have Just started with American Financial and i feel better already. It was a number of things that got me into debt. But what i really want to talk about is Lindsey H from the Bremerton office. She was so nice and answered all my questions, helped me with getting all information that they needed to started, and was a pleasure to work. Thank You Lindsey! Im hoping to make extra payments in the future to get this all finished before 29 months. Once you speak with a Credit Counselor, the fees and interest rates are disclosed to you. My counselor also assured me that she would be available for me personally (and she has been) at any point in the process. Also, I was assured that I would be consulted should one of my creditors not agree to the terms and interest rates she and I discussed and the decision to move forward would be mine at that point. I was assured that AFS has credit relationships with all of my creditors, specifically, before I chose to continue with the Debt Consolidation program. I am thankful to have a company backing me as I correct my credit issues. Support has been excellent so far.